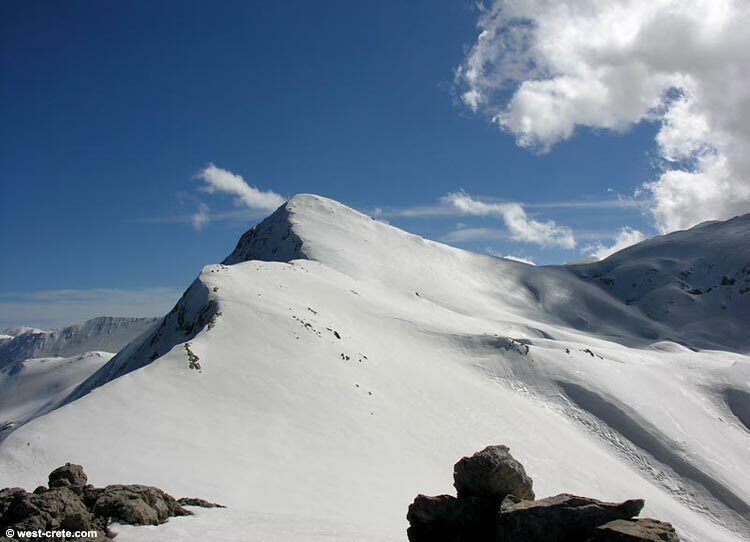 Spathi (2040m) is located on the northern edge of the White Mountains, overlooking Apokoronas. This is where I was this weekend, in nice weather but very poor snow (melting because of the warm temperatures we have had in the last few days). 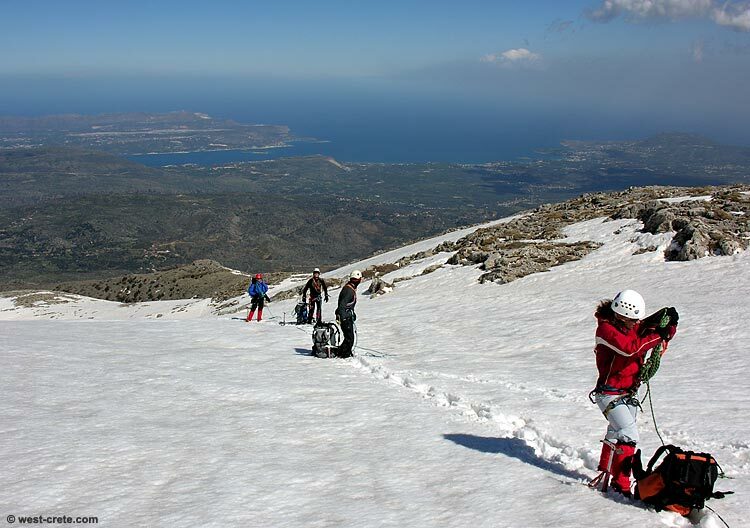 So not much snow (for Crete in late February). Click on the top photo to get a panoramic view of the northern White Mountains from there (taken with my back to the Apokoronas region). As I write this a strong south wind is blowing again, dust turns the light yellow...so I think that it will be the last mountain picture for a little while as there might be very little point in going up there. Also I want to try my new macro lens - just received it yesterday - and that's best done in the lowlands. Guess that I'll go creeping in the macchia looking for orchids.